The Douglas A-4 Skyhawk is a ground attack aircraft capable of operating from an aircraft carrier. It was designed by Edward H. Heinemann in the 1950s for the US Navy and the Marine Corps. Originally it was called A4D according to the 1922 US Navy designation.When the unified system was established in 1962, it was renamed A-4. About 3,000 aircraft were made. They participated in the Vietnam , Yom Kippur and Malvinas wars. 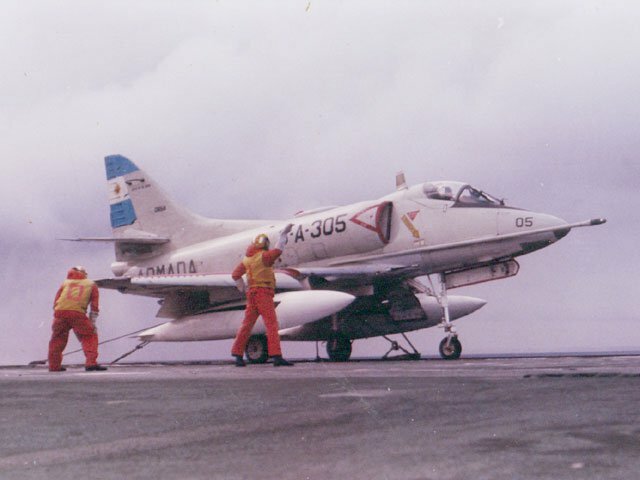 In 1965 Argentina paid 7,100,000 and acquired 50 Skyhawk A-4Bs for the Air Force. Then in 1970, the government acquired surplus Naval versions for the Navy. With the change of the original 7500 lb turbine Wright J-65-W-16 for a 8400 lb thrust J-65-W-20, substitution of electronic equipment similar to that used in the A-4F, Douglas Escapac 1 A -1 0/0 ejection seat and wings equipped with spoilers, the modified aircraft received the denomination A-4Q. The Tulsa Rework Facilities subsidiary of McDonnell Douglas 2 performed the overhaul work. 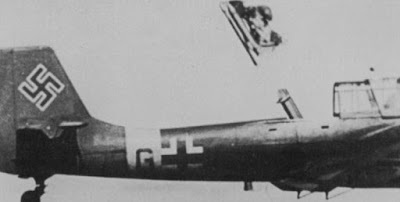 On January 13, 1942, the German Air Force Luftwaffe test pilot , Helmut Schenk ejected from a Heinkel He 280 using a seat with a compressed air system that launched him up and out of the cockpit on rails. 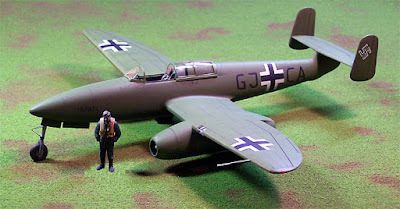 By the fall of 1944, the British Air Ministry was receiving reports of sightings of German pilots who were "shot into the sky" from crashing planes. The Heinkel seat saved dozens of pilots during the war. One of those seats, captured by the American Army, led the US to develop their own expulsable chair. The Swedish company Saab also built ejection seats and in 1942 it managed to launch a mannequin in a crash test of its Saab17 aircraft, byusing a cartridge full of explosives. With his plane inverted he fell 13 meters attached to the ejection seat. When the nose-down inverted plane hit the water the ejection seat rockets ignited and the seat, like a torpedo, aimed to the bottom of the sea. 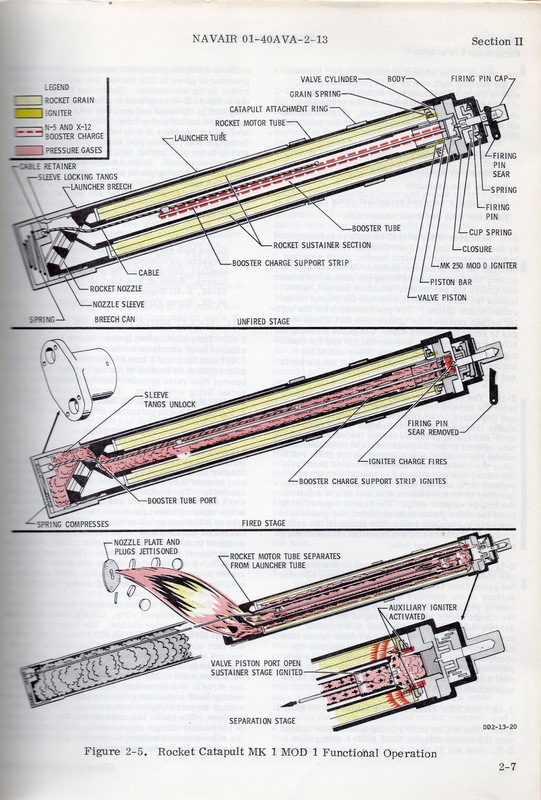 The sequence continued through the different explosive cartridges which unlocks the seatbelt and harness, inflates the bladders to separate the seat and starts the parachute extractor. “To make things worst, all the MK-1 Mod ejection seat booster cartridges expired on December 30 of that year and, due to the Humprey-Kennedy amendment, the United States did not provide us the cartridges we expected to get. The Rio Grande runway was wet and icy and there was a crosswind. The "306" was coming in with very little fuel and with a ton of bombs hanging from belly The landing was normal but the overweight caused the left tireto burst. This caused a skid to the left and off the runway, breaking the the front wheel axle. Zubizarreta, aware that any of the four bombs or all of them could detonate, followed the standard procedure.When he activated the ejection handle , the sequence was started. Theockpit canopy detached normally, but the cartridges did not have a good ignition precisely because their chemical components had expired. This caused a very poor ignition and provided insufficient energy to eject the seat to the necessary altitude and speed in order to complete the whole sequence. The A-4Q was bow was in a low position due to the breakage of the front axle.The seat was ejected with little speed forwards and downwards without the complete sequence being completed. Zubizarreta barely managed to separate from the seat and the parachute extractor was just deployed at that moment. This caused the pilot to fall face down on the runwayand the heavy ejection seat landed directly on his back receiving directly on his back the heavy ejection seat. Only then did the parachute begin to unfold, albeit partially. 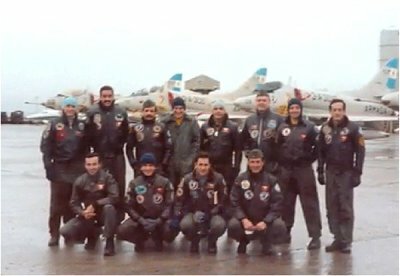 In the background, the Skyhawk 3-A-306 and the main pilots of the third Naval Air Squadron. 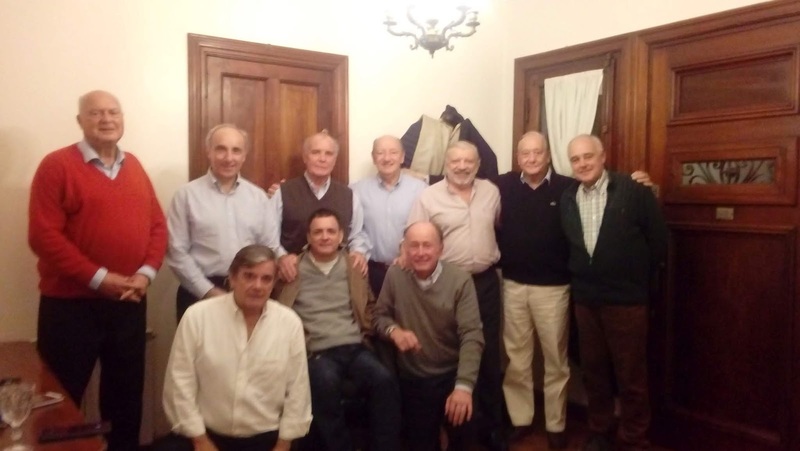 From left to right, the fourth standing wearing a balaclava, is Zubizarreta. Photograph taken on May 20,1982. 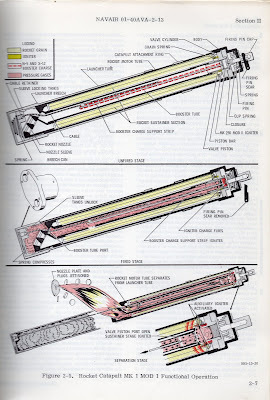 The problem of the expired ejection cartridges had not been solved. Only the technical staff knew which aircraft had expired cartridges and which ones didn’t.No pilot could know if he were to fly in a warplane with the proper cartridges . 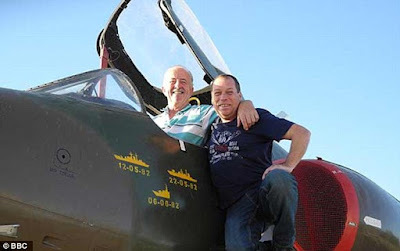 Jim Winchester author of Skyhawk: Attack and Close Support Fighter-Bomber-A4 Skyhawk states: The reduced ejection success (Argentine) during the Malvinas conflict was due to the use of expired cartridges for the ejection seats. An indeterminate number of bombs penetrated but did not explode in the ship. The mess deck was destroyed, the communications between the bridge and the control center of the ship were cut, and the ship lost her course. This attack caused numerous casualties among the damage control teams working in the hangar. With the fires in the stern now out of control, the Captain gave the order to abandon ship. 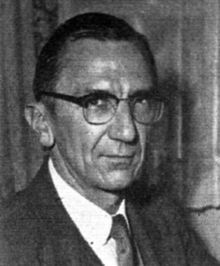 When returning to the mainland, three pilots were shot down by Sea Sidewinders missiles : Lieutenant Commander Alberto Jorge Philippi (he safely ejected and spent the night in the farm of Tony Blake.Later he walked to the Argentine lines), Lieutenant José César Arca (he tried to land unsuccessfully in Puerto Argentino and had to eject being rescued by the Argentine Army Captain, Alberto Alfredo Svendsen, in a Bell UH-1 Iroquois) while the Lieutenant Marcelo Gustavo Márquez (29) lost his life when his plane exploded. The HMS Ardent continued to burn throughout the night and sank at 04:30 on the 21st. 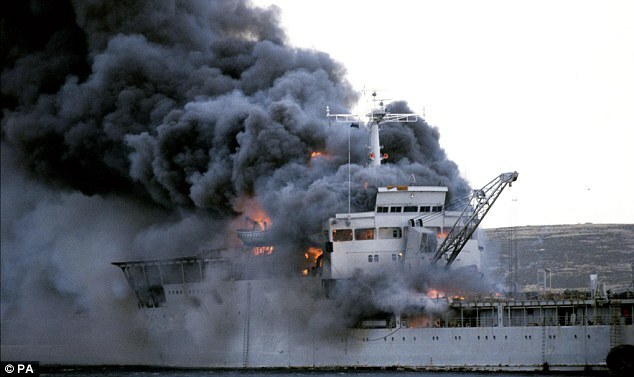 The sinking of HMS Antelope could be due to the joint Argentine Air and Naval Forces. The book Air War South Atlantic by Jeffrey L. Ethell and Alfred Price erroneously reports that she was attacked solely by the Argentine Air Force. 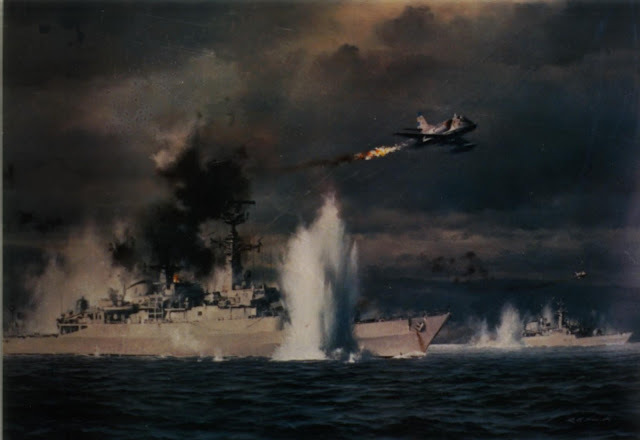 One of the warplanes (First Lieutenant Luciano Guadagnini) collided with the top of the ship mast breaking it while another plane was shot down by Rapier missiles from HMS Broadsword . 28 The sinking was due to the actions of First LieutenantLuciano Guadagnini and Ensign Hugo Gómez. On May 23 at 12:30 a division of four planes took off to attack naval targets in Puerto San Carlos. The Skyhawk 3-A-302 was commanded by Lieutenant Marcos Benitez. Except for 3-A-305, the three remaining planes crossed the island of Gran Malvina by the north. The 3-A-302 attacked the frigate type 21 HMS Antelope commanded by the Captain Mick J. Tobin. Two bombs lodged in their interior and they did not explode. The Type 42 destroyer HMS Coventry commanded by Captain David Hart Dyke CBE, LVO, ADC 6 was impacted by two bombs from the Zeus group below the waterline on the port side. One of the bombs exploded inside the computer room, destroying the adjoining operating room, incapacitating its staff. The other entered the forward engine space, exploding under the mess deck, where the first aid station was located, and the ship immediately began to heel to port. The last impact caused critical damage breaking the fire barrier between the front forward and rear engine spaces, and exposing the entire ship to fire. Given the ship's design, with multiple waterproof compartments, these impacts completely compromised its survival. HMS Sir Tristam, commanded by Captain G.R.Green, was hit by three 500-pound Mark 82 bombs 36,two of which were dropped by the leader of the attack squad, Lieutenant Daniel Eduardo Gálvez. 2 crewmembers died. 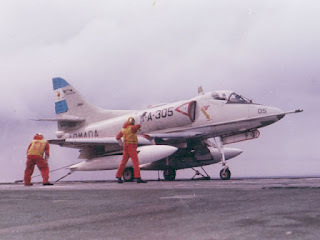 Sea Harriers shot down three Skyhawks (Lieutenants Juan José Arrarás (C 226), Danilo Rubén Bolzan and Alférez Jorge Alberto Vázquez). Bolzan's plane was shot down by Lt. David Smith, while the other two Skyhawks were killed by Lt. David Morgan. The fourth plane suffered damage and lost a large amount of fuel, but managed to return to its base assisted by a KC-130 tanker. Since 1914, never in the history of wars did aviators have to face such a terrific conjunction of deadly obstacles, neither those of the RAF over London in 1940 nor those of the Luftwaffe in 1945. 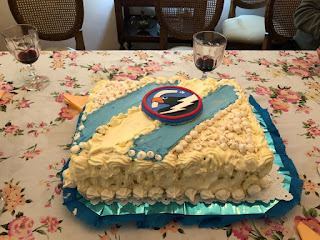 Your courage has dazzled us.Not only the Argentine people should never forget you, but also many of us in this world who are proud that you are our brother pilots. 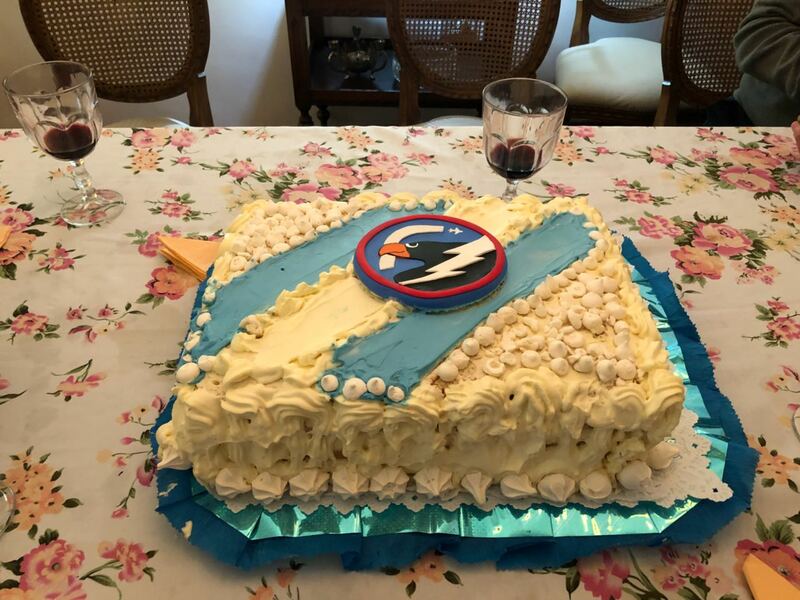 To the fathers and mothers, to the brothers and sisters, to the wives and children of the Argentine pilots who went to their death with the most fantastic and most amazing courage, I tell them that they honor Argentina and the Latin world. Oh! The truth is valid only for the blood shed and the world believes only in those causes whose witnesses are killed for it. 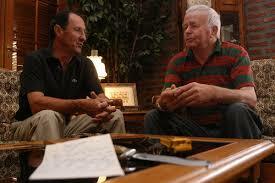 4-Bolia, Robert-The Bluff Cove disaster-Military Review-November-December 2004. 9-Clansey, Colin-Officer Cadet-Factors influencing the defeat or Argentine air power in the Falklands war-The Royal Canadian Air Force Journal-Vol 1-Nº4-Fall 2012. 10-Crew of RFA Sir Galahad-Family Announcements. 11-Dan, Major-January 13, 1942: First ejection seat used in jet fighter-History&Headlines-January 13, 2015. 25-Kennedy y la enmienda con la que le puso límites a la dictadura argentina-Clarín 3 1 de agosto 2009. 27-La Capital-El aviador argentino que cayó dos veces en los mares del sur y sobrevivió-Lunes 31 de marzo de 2008. 28-La Guerra de las Malvinas-Vol 1 y 2-Ediciones Fernández Reguera, Buenos Aires, Argentina. 32-McLaren, Esteban-Ex piloto naval británico cuenta sus experiencias de combate-FDRA Malvinas. 34-Marks, Paul-Como se creó el asiento eyectable que salva la vida de los pilotos de combate-BBC Future 20 de junio 2015. 35-Matthias, Fiona- Armed Forces Day: Falklands veteran describes his escape from a sinking ship-The Telegraph-21 May 2009. 36-Moro, Rubén Oscar (1985). La guerra inaudita: historia del conflicto del Atlántico Sur. Pleamar, p. 462. ISBN 9505830432. 38-Profile: Admiral Sir Alan West-BBC News-8 July 2007. 44-Sir Galahad blast dead remembered-BBC News-8 June 2007. 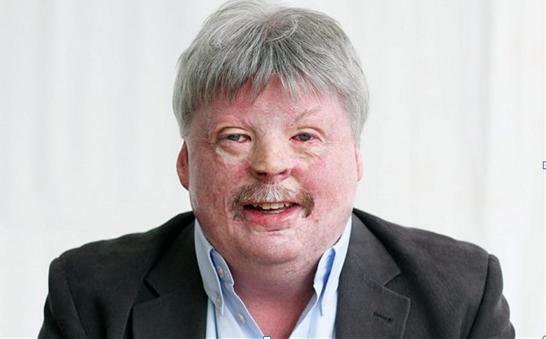 48-Toynbee, Polly- 'I'm beautiful,' said Simon Weston, a survivor from the Sir Galahad. 'I was beautiful before and I'm beautiful now.' Over half his body had been appallingly burned-The Guardian-11 Oct 1982. Standing: (Left to Right): CN Rodolfo Castro Fox, CN Félix Medici, CN José Arca, VL Benito Rotolo, CF Carlos Oliveira, CF Marco Benitez and the author. Below (Left to Right) TN Diego Luis Goñi, Manuel Arce (son of CF Manuel Arce) and CN Roberto Gerardo Sylvester.